Some heroes use rings to transform into their super-powered personas. We offer a selection of pop culture rings that will transform your look into something super! Shop here for rings featuring characters and symbols from your favorite fandoms, including Star Wars, Game of Thrones, Lord of the Rings, comics, and more. 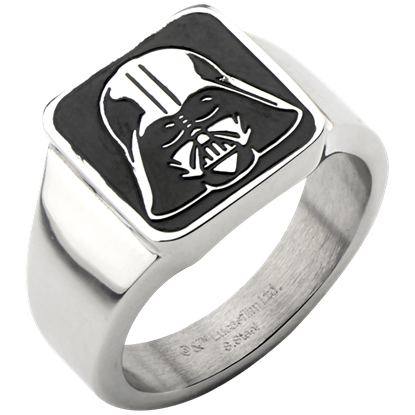 Our selection of licensed rings includes fandom jewelry pieces for both men and women. We also offer a selection of licensed jewelry rings from hit video games like Assassins Creed, Minecraft, and more. 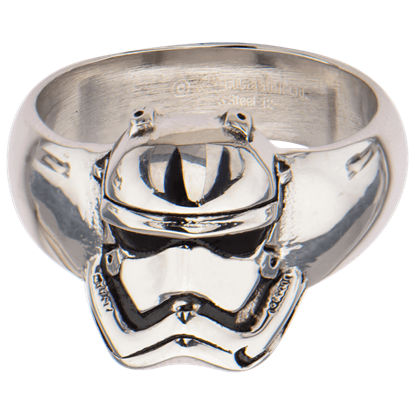 Shop Stormtrooper signet rings, the One Ring replicas, and much more here. First appearing as random characters on a screen in Return of the Jedi, the script now known as Aurebesh has been codified and is used throughout the Star Wars franchise. 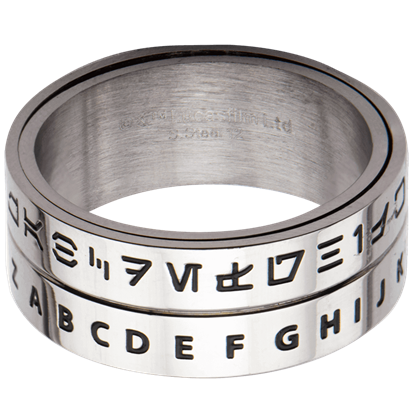 This Aurebesh Spinner Ring makes an intriguing personal accent. Customized to match the orange & white color scheme of the Resistance, astromech droid BB-8 was paired with Commander Poe Dameron, assisting him on numerous missions. 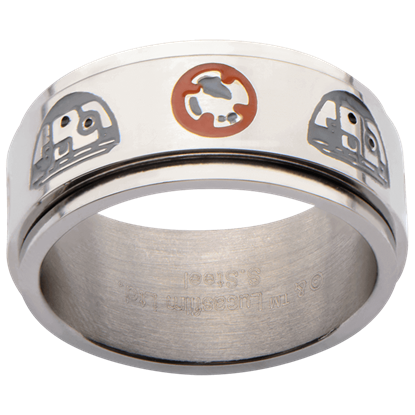 This BB-8 Symbols Spinner Ring makes an enticing personal accent. With a distinctive design in polished steel against a black background, this Star Wars ring identifies the wearer as a fan of the Mandalorian bounty hunter. 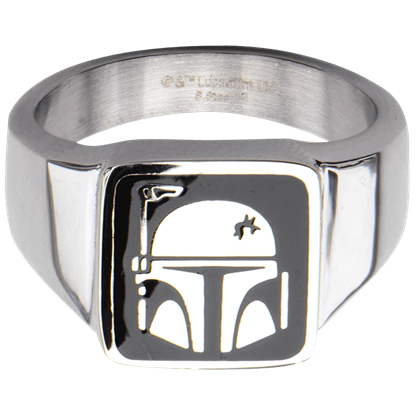 This Boba Fett Helmet Signet Ring makes a distinguished personal accent. Laugh it up, Fuzzball. Chewbacca, a Wookiee from the planet Kashyyyk, is partner and best friend of smuggler Han Solo, who is as quick with a wisecrack as a blaster. 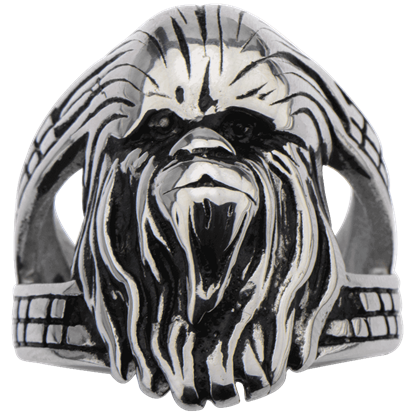 This Chewbacca 3D Face Ring makes a stunning personal accent. One glance at the black masked face of the Sith Lord Darth Vader and most Star Wars fans hear the imposing theme music that plays for him in the movies. 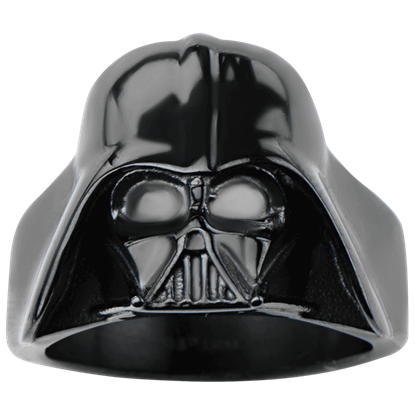 This Darth Vader Black Large 3D Helmet Ring makes a formidable personal accent. With bulbous eyes and a triangular gridded mouthpiece, the masked face of Darth Vader is intimidating even before you hear his deep, rasping voice. 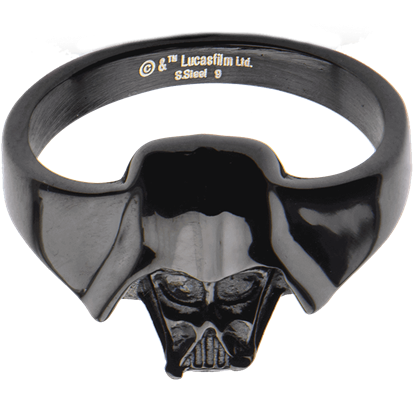 This Darth Vader Black Petite 3D Helmet Ring makes a formidable personal accent. 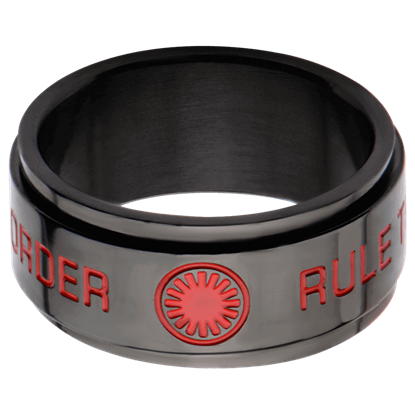 With an iconic design in polished steel against a black background, this Star Wars ring identifies the wearer as a fan of the villain of the original trilogy. 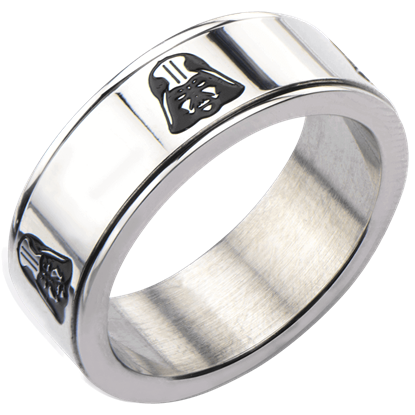 This Darth Vader Helmet Signet Ring makes a distinguished personal accent. The samurai inspired helmet of Darth Vader has become an iconic piece of pop culture and one of the most recognizable symbols of the Star Wars franchise. This Darth Vader Helmet Spinner Ring makes an impressive personal accent. Thats no moon! The enormous superweapon of the Galactic Empire, known as the Death Star, has been recreated here in miniature with a sparkling crystalline accent. 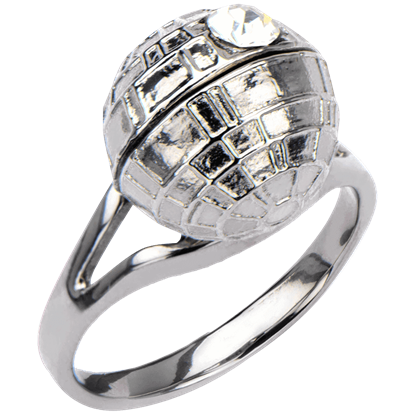 This Death Star 3D Crystal Ring makes a stellar personal accent. When Luke Skywalker travels to Dagobah in search of a Jedi Master, he is surprised to meet Yoda, who acts so differently from Lukes former mentor Obi-Wan Kenobi. 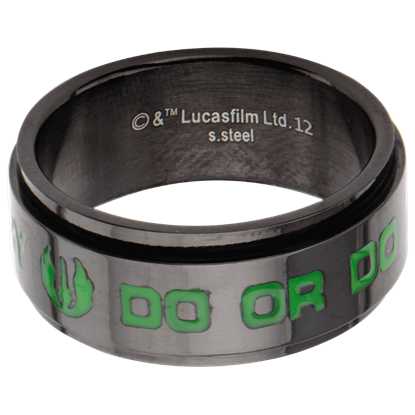 This Do Or Do Not Yoda Spinner Ring makes a memorable personal accent. The First Order is a political and military movement first appearing in Star Wars The Force Awakens and inspired by the totalitarian regime of the Galactic Empire. This First Order Spinner Ring makes an outstanding personal accent. In The Force Awakens, the First Order seeks to rebuild the fallen Galactic Empire. Trained since birth, the First Order army wears familiar white armour. This First Order Stormtrooper Helmet Ring makes a compelling personal accent.